BBC Norfolk Some sound files and much more! Dialect Fun Test A fun quiz, with a series of Norfolk-themed questions, such as: What would you do with a cushie? And four answers to choose from! Edward from South Elmham Listen to Edward as he speaks in traditional Norfolk dialect, using a number of distinctive expressions, such as referring to his wife as mawther. Get to know Norwich A look around our Fine City in words and pictures. Lancashire Dialect Society This a link to the Lancashire Dialect Society, who are set to preserve the literary heritage of Lancashire and, like FOND, preserve the spoken and written heritage neglected of late by many inhabitants of that county. 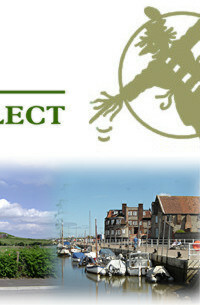 Literary Norfolk A very informative site on all things Norfolk. More BBC Sound files What do you know of the local dialect? Here you can meet the Boy Colin, Robert, Wendy, Tony and James  who all have a passion for the sound of Norfolk. 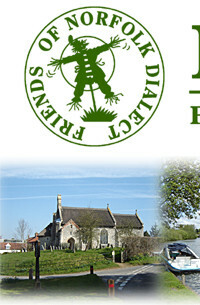 National Dialects A website for national dialects and much more  well worth visiting. Norfolk Dialect Taught in Schools The aim is to introduce understanding and appreciation of the dialect spoken by native people into eleven schools. Norfolk Record Office For the serious Norfolk researcher. Norfolk Wikipedia Discover more about the county, for instance the reason why Norfolk was settled in pre-Roman times, with neolithic camps along the higher land in the west. Prof. Peter Trudgill Examples of words and grammar from his book The Norfolk Dialect. This page takes a long time to load but it is worth it, so please be patient! 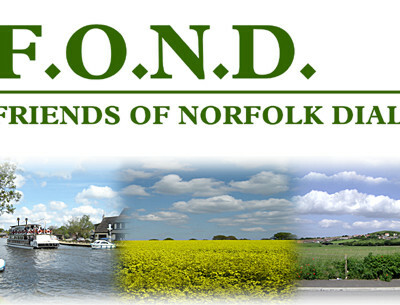 Scenic Norfolk Beautiful photographs of Norfolk; from Aldborough to Wymondham, and many in between! Well worth a visit. Sounds Familiar? Choose your dialect.